So How Do You Actually Wear Tops With Bell Sleeves IRL? 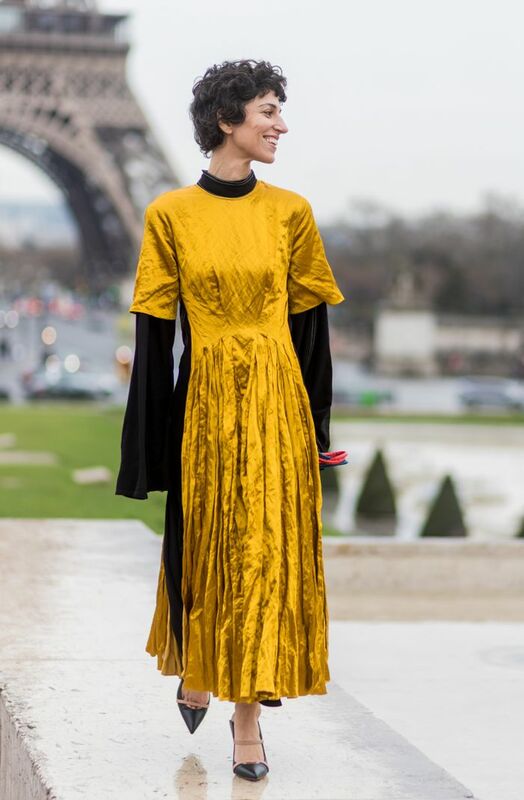 Bell sleeves seem like a daring trend at first glance. Practically speaking, what’s so effortless about a top where your limbs are floating in fabric and you’re in danger of stains with every meal that requires you to reach across a table? Thankfully, styling the statement-making silhouette is not nearly as tricky as trying to eat a burger in it. The seven examples below are proof that wearing a bell-sleeve top doesn't require much more effort than others. Instead, they simply elevate an outfit by providing a bit more movement and a significant amount of drama. Take a look at the inspired ensembles ahead, and then start stocking your own closet with the powerful style. Click in for seven chic ways to wear and show off a bell sleeve. Slip a more streamlined dress over a bell-sleeve shirt to balance proportions. DIY a flared sleeve by leaving your cuffs undone. If you especially want to make a statement, double down on flares and ruffles. Swap your go-to striped tee for one that's a bit more fashion forward in the sleeves. Add a cuff to emphasize a swinging sleeve. Don't forget to let your bell sleeves peek from your coat sleeve. Chose clashing colors or playful prints for extra points. Break up a coordinating set with a lightweight, bell-sleeve knit in between. Don't miss your chance to shop the vintage vault of Gianni Versace, including so many daring '90s-supermodel–approved styles.